Stephen Darori's Social Media Wisedom From Zion. : Customer Service complaints ... the end of Public Social Media Rant Over or Not? 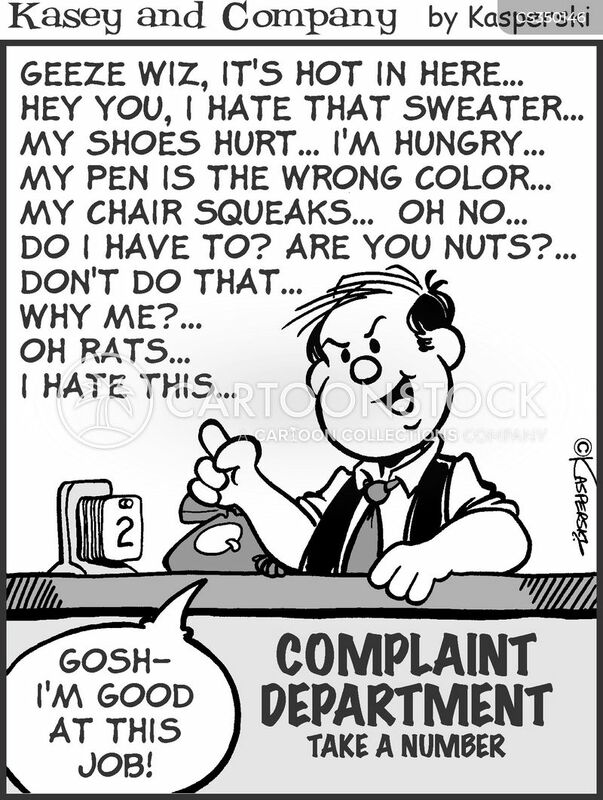 Customer Service complaints ... the end of Public Social Media Rant Over or Not? Have you ever tweeted a customer service complaint or posted a query on a company’s Facebook page and heard nothing back? It turns out you’re not alone. A recent survey of 500 top retailers shows only 20 percent of questions sent via Twitter and 54 percent via Facebook get a response. And the average response time is more than 27 hours. Fortunately, updates at Twitter and Facebook promise to overhaul the way customer service is done on social media. Gone are the days of consumers ranting to friends and followers about delayed flights and faulty merchandise to little avail. Instead, some social networks are offering ways for companies to connect one-on-one with their customers. Innovative chat and messaging functions are promising to take customer service back behind closed doors. That’s if companies are ready and consumers are willing to give up the power of the public rant. An estimated 67 percent of consumers now tap networks such as Twitter and Facebook for customer service. For the socially savvy, the appeal is obvious: Rather than suffer through interminable help lines or wait patiently for a response via email, users can Tweet and, in theory, get speedy, personalized attention. However, the effectiveness of taking a company to task in public appears to be waning. Many companies have been numbed into indifference by the sheer volume of messages: It’s not uncommon for major airlines, for example, to receive upward of 10,000 Tweets a day. Unless users have large social followings, or their messages manage to go viral, their complaints may not see prompt redress. As well, an angry post can do more to harden a company’s indifference than resolve the problem. “Threatening, insulting, demeaning are things that will never work,” notes social media consultant Aalap Shah in a CBS interview. Not to mention, not every customer complaint or issue lends itself to being resolved via social media. “As communications are public by default, asking customers to hand over account numbers and bank details is an obvious no-no,” said James O’Malley for TechDigest. The updates at Twitter and Facebook promise consumers—and companies—a discreet and efficient way to resolve customer complaints on social media. Twitter has long had a private channel, known as Direct Messages, or DM, but using it hasn’t been easy. The parties have needed to follow one another before taking the conversation private. This awkward extra step has meant most customer service has been conducted out in the open. Earlier this year, Twitter ditched the “mutual follow” requirement, meaning companies and customers can now contact each other directly and privately. At the same time, Twitter lifted its standard 140-character limit for Direct Messages, turning DM into something similar to an instant messaging or chat service. Customers and companies can now tackle all sorts of complex issues in longer messages, without a flurry of Tweets going back and forth and away from prying eyes. Meanwhile, Facebook opened up its popular Messenger app to businesses. Instead of venting on a brand’s Facebook page, customers can interact directly with customer service agents at participating companies via the instant messaging app. Messenger Business is still in its early phases, with just a handful of companies participating, including online retailers Zulily and Everland. But Facebook is marketing the tool as a broader solution for companies seeking to “have personal, real-time conversations” with customers. Is better customer service really on the horizon? If private social channels end up being another graveyard for customer complaints, with issues shunted into long queues or ignored altogether, they’re unlikely to catch on. On the other hand, if consumers can find quick satisfaction, the days of customer service as a spectator sport may well be numbered. If private social channels end up being another graveyard for customer complaints… they’re unlikely to catch on. The promise of social media customer service can seem elusive, but when it’s done right the results can be impressive. We have more than 10 million users worldwide; they can tweet us and typically get a response in less than 30 minutes. When they take to social media, it’s generally not to rant about our service… but to tell their friends they have to sign up.